Josh Berman, director of community food initiatives at Economic Development South, inside Produce Marketplace in Clairton, Pennsylvania. The coolers were purchased used, along with most of the store’s equipment, to keep upfront costs low. Josh Berman sits at an old dining room table on the second floor of Produce Marketplace in Clairton, Pennsylvania, some 10 miles south of Pittsburgh. Opened last October, it’s the city’s first new grocer in more than a dozen years, offering over 40 types of produce, fresh bread and bagels, sliced deli meats, eggs, dairy, and other staples they just don’t carry at the bodega. Politicians spent years trying to lure back a grocery store, but there was the unavoidable fact that Clairton was bleeding population — down 30 percent over the last 25 years to just 6,600 people — and just wasn’t the place that would pass a market feasibility test. That’s when the nonprofit community stepped in. “The belief behind this store is that a community shouldn’t have to pass a test to be deserving of fresh produce,” said Berman, the director of community food initiatives at Economic Development South, the nonprofit behind Produce Marketplace, and the store’s director. It’s a rare bright spot for a community that’s only in the news of late for pollution spewing from U.S. Steel’s Clairton plant, the country’s largest producer of coke from coal. Not only do half of Clairton’s children grow up in poverty, their rate of asthma is also more than double the state and national figures. In the past year, the Clairton plant has been hit with over $2 million in fines by local health officials, and residents and advocates have called for U.S. Steel to idle the plant. On some days, Clairton’s (and Pittsburgh’s) air quality is among the worst in the nation. Produce Marketplace opened to improve the lives of residents, and it’s brought other social services along with healthy food. 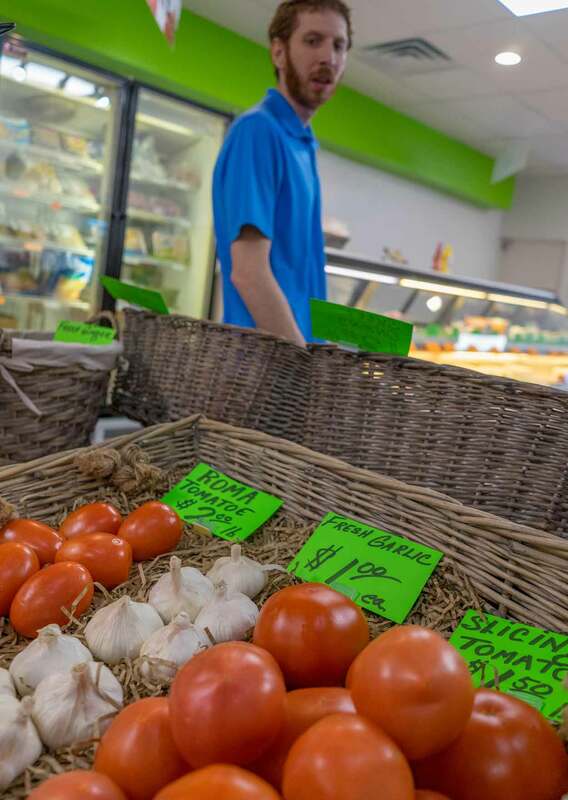 But is a nonprofit grocer reliant on grants a sustainable model, in Clairton or afar? 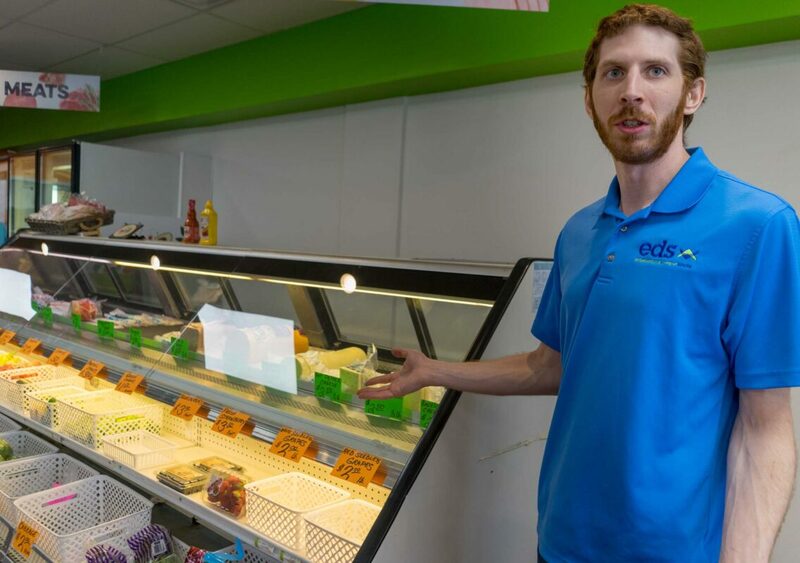 Josh Berman checks on inventory inside Clairton’s Produce Marketplace, which carries everything from fresh bread and chicken wings to dairy, fresh pasta, spices, and sliced lunch meat. Food deserts have food, just not the best kinds. Even without a grocer, there were places to buy food in Clairton. Golden Gate sells Chinese takeout, and there are a couple pizzerias on St. Clair Avenue. The Rite-Aid and Dollar General sell basic boxed foodstuffs and snacks. “What we find, when we go to a food desert or underserved community, is there’s actually an overabundance of fast food restaurants and convenience stores,” said Atif Bostic, executive director of Uplift, a Philadelphia nonprofit that helps establish full-service groceries in underserved communities. Bostic says another term is becoming more popular as it better reflects the reality: food swamps. Whatever you call it, it’s still a complicated situation. In Pittsburgh’s Hill District, a full-service Shop ‘n Save grocery store opened in 2013. It closed this February. Tamara Dubowitz, a senior policy researcher at the RAND Corporation, studied the Hill District during this time, as well as another food desert 5 miles away in the city’s Homewood neighborhood. Dubowitz and her co-authors found that some Hill District residents had complaints about the store’s prices, food quality, and general customer service, and would continue to travel outside the neighborhood to shop at what they perceived to be nicer grocery stores. Furthermore, while residents consumed less sugar and fewer overall calories, it wasn’t because of the presence of the grocery store itself, but, she hypothesizes, because of a larger conversation occurring about the importance of healthy food access. A customer purchases groceries at Produce Marketplace. 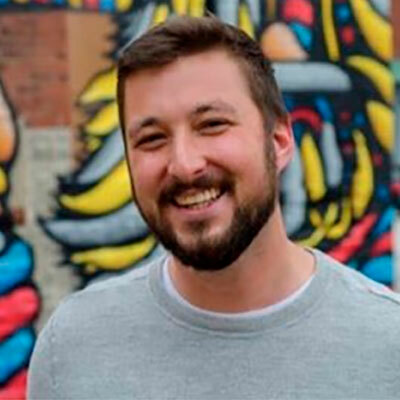 Berman first started working in Clairton with hunger justice advocacy group Just Harvest, where he worked on a project to bring healthy corner stores to communities without them. In 2017, EDS won $140,000 in the UpPrize Social Innovation Challenge. Berman says without that upfront capital, Produce Marketplace couldn’t have launched. EDS used it to purchase the building, renovate the first floor, and buy equipment and the first few weeks of food to stock the shelves. That same year, Clairton received $3.3 million in grants, disbursed over six years, mostly through Pennsylvania’s Neighborhood Partnership Program, which is funded by tax credits given to businesses that donate to distressed communities. Some of that money was used to retain the services of Just Harvest, which commissioned a market analysis that found the best option was to open a marketplace that’s not quite a full grocery store — which the community couldn’t sustain — but more substantial, and healthful, than a typical corner store. Dawn Marie Smith took over Berman’s position as healthy corner store coordinator at Just Harvest when he left for EDS. While Smith is proud of the work being done in Clairton, they recognize that it’s not inherently sustainable. Hot peppers, carrots, and ginger, just some of the more than 40 types of produce for sale in this former food desert. Bostic tells the cautionary tale of Fare and Square, a nonprofit grocer in Chester, outside of Philadelphia, that in 2017 sold to a for-profit grocer after five years of operation. For one, because it was known as a nonprofit grocer, the expectation was that food should cost less than it does at typical grocery stores. Bostic said that he doesn’t see flaws in the nonprofit model, so long as stores follow basic operating principles, namely generating revenue to cover expenses. If they rely on subsidies, they risk donor fatigue down the road. In short, they still have to run it like a business. At Produce Marketplace, revenue has increased every month for the five it’s been open, Berman said, as they find which hours work best for the neighborhood, and which foods to have on offer. Produce Marketplace is managed by lifelong resident Felix Fusco, who is assisted by a handful of volunteers. The store is open at least a few hours a day, six days per week, with the longest hours on Saturdays, 10-5. On a recent Tuesday, Clairton resident Mable Wright stopped in to grab a few items, which she does at least three times per week. She said she has been coming to Produce Marketplace since it opened. Before that, she’d hire a jitney to take her grocery shopping at a nearby Shop ’n Save. The store has also become a hub for other nonprofits to offer social services. Consumer Health Coalition offers a six-week smoking cessation course, Meta Mesh Wireless Communities offers free wifi, and 412 Food Rescue hosts a six-week healthy cooking class. Additionally, a Pittsburgh tech company with the aspirational name Panacea.Ag launched a crowdfunding campaign to fund a nonprofit that provides automated “Greenhouses for Everyone,” the first of which they hope to put on the roof of Produce Marketplace. Most of the produce comes from Jordan Banana, a nearby wholesaler, and the number of produce items for sale fluctuates depending on price, but there’s usually at least two dozen types available. There’s also pita bread from a nearby Lebanese bakery, local pasta and pierogies, artisan bagels, and homemade pints of ice cream, all of which aren’t carried in grocery and big box stores in the area. “We’re able to bring some tastes of Pittsburgh to Clairton,” Berman said. Berman said that while the market was opened for local residents, he encourages people from surrounding communities to shop here as well.